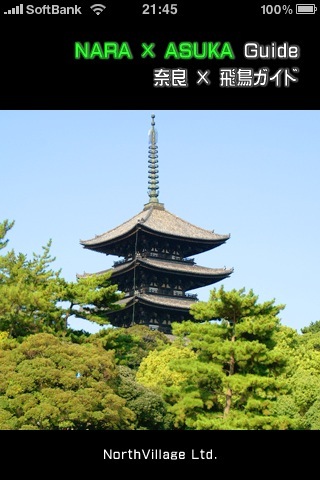 It is a convenient 'NARA x ASUKA guide' for sightseeing in Nara and Asuka. Publishing such as World Heritage, temple, Shinto shrine, museum, explanation, essential information of tourist spot such as museums, closest stations, and bus stops. It connects with the Google map more and more when the map is done in the tap, the place in the destination is understood, and it is very convenient for [node] and sightseeing in Nara. Nara Prefecture is done now separately for eight areas. In Nara City a lot and Asuka are published. 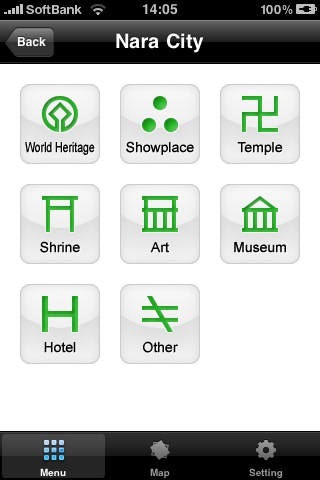 ●The menu (area) of eight can be separately selected from eight genres. The Google map can be selected from eight areas. 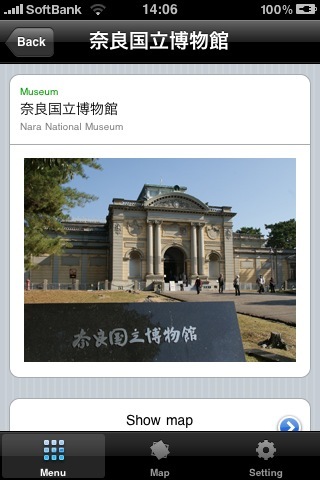 It is possible to display it by narrowing it to "Only World Heritage of Nishinokyo". ※I am going to add the photograph of non-publication by update sequentially in future. - As of March 1, 2010. - Information on publishing might be changed, and be revised. Please acknowledge that our company doesn't make amends for damage by the published content etc. beforehand. Moreover, the photograph is renewed dividing into several-time because there is an image of the unpublishing in this application program. There is download demand several times. Please acknowledge it. - The permission application of publishing the image of facilities concerned is done.